How often do you play golf? The answer most of you are saying in your mind is “not often enough”. I am not sure that is correct answer, but who am I to judge anyone about anyone’s game! Personally, I find that 4-5 days a week is plenty; I even alternate and on opposite weeks to play 3-4 times in a 7 day period. And that includes practice! At the Toronto Golf Show, I committed to play 80 rounds this year. I am currently at 30 and I have not touch a club in 2 weeks (I missed Men’s Night on Wednesday because the group I was going to play in was full). I think I will make it! I believe that it is possible to play golf too often. Not being a professional, I find that life must take priority sometimes and over the years (like this one) life activities forces a 2 or 3 week break once or twice during the golf season. I am definitely okay with the break because I am confident I will be able to play enough golf during the entire season. How about you? Do you wish you could #golf everyday? Over two-thirds of the respondents want to play golf everyday! I am not one of those yes votes because I think golf would get stale. Additionally, I think it is important to have other interests in my life besides golf. As it is, writing an article for The Grateful Golfer Blog takes time, plus reading, exercising, travelling, hanging with my best friend drinking coffee, etc. etc. Although I do not include writing in my golf time, it believe it is important to experience other aspects of life to truly appreciate hitting the links. I have discussed how much is enough with respect to golf with my friends who play once or week at the most. They suggest that they would love to play everyday, but after further discussion, they realize that golfing everyday would be a challenge! Their epiphany is that golf is just a game and spending a majority of their free time looping the links is a bit unrealistic! Most of this diatribe is a matter of perspective and we all know that perspective is reality. Playing golf every day sounds awesome, however I am not convinced it is how I want to spend most of my free time! How about you? 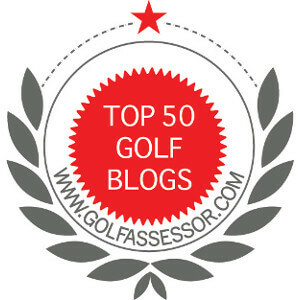 How much time, if there were no limitations, would you want to spend on the golf course? ← New Features at the Grateful Golfer! I would like to play 3 times a week and practice 3 times a week. That sounds reasonable to me!